Feature: 1. big power qualified halogen light source, stable. 2. imported fan , silent, powerful fan. then accelerate the rigidification with strong light. 4. Separate strong and weak light control timer. 6.Streamling design, accord with somatology, easy operation. 7. Focus super strong optical fiber. 8.Includes orange shade shim for blue light, protect the user’s safety. Application: solidify resin material of any brands. Technical parameter: 1.input voltage: external: AC 110V/220V±10%,60HZ/50HZ;internal:AC12V. Contact us if you need more details on Dental Halogen Curing Lights. 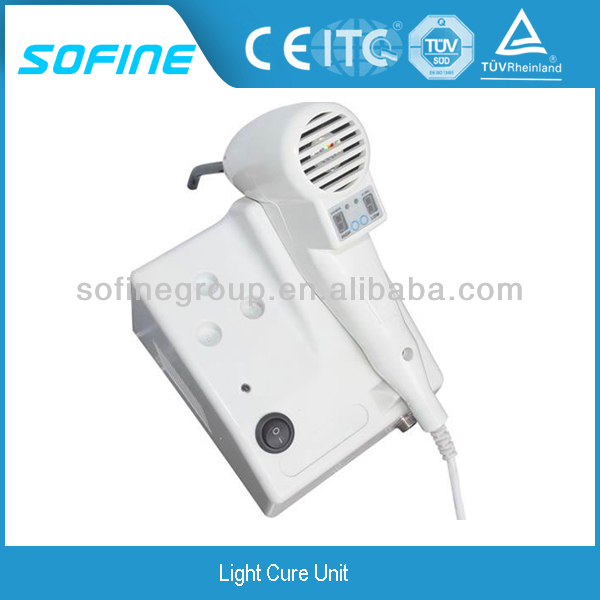 We are ready to answer your questions on packaging, logistics, certification or any other aspects about Dental Halogen Curing Lights、Dental Halogen Curing Lights. If these products fail to match your need, please contact us and we would like to provide relevant information.